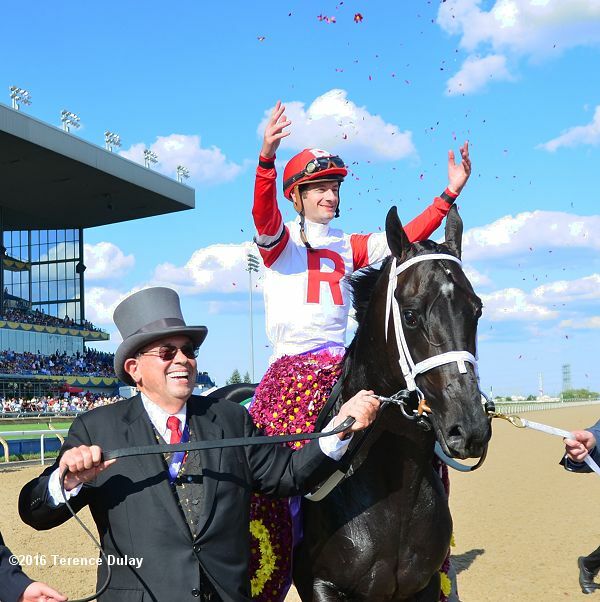 • Talkin’ Horse Racing – Episode 9 – Since the HBPA’s show debuted with half a season in 2014 and full seasons in 2015, 2016 and 2017 it has been nominated three times. 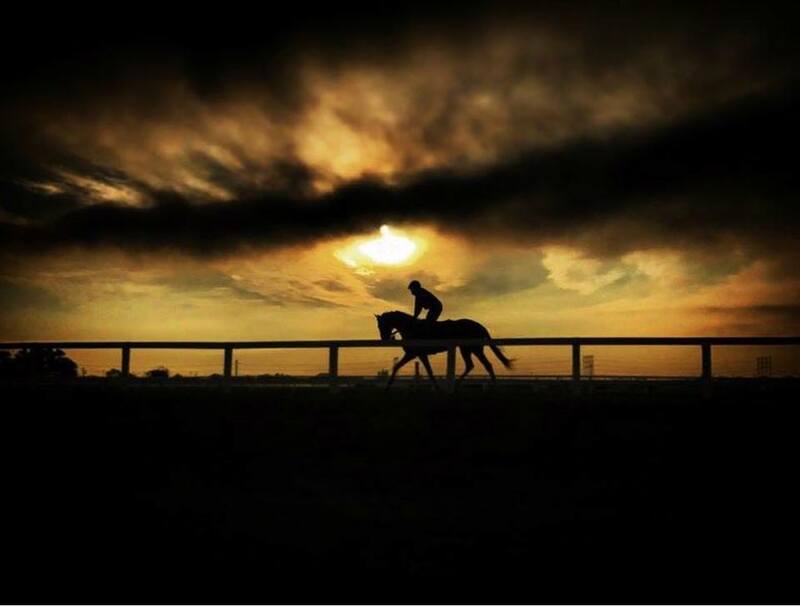 Jeffrey Bowen’s photo “Morning Silhouette” nominated for Sovereign Award. The Jockey Club of Canada will announce the winners of each Sovereign Award at the 43rd Annual Awards Ceremony to honour Canada’s Champions of 2017 on Thursday, April 19, 2018 at PALAIS ROYALE in Toronto. You can purchase tickets online at or by contacting The Jockey Club of Canada by email jockeyclubcanada@gmail.com or by phone 416-675-7756. SIR DUDLEY DIGGES, the Queen’s Plate winner of 2016, and his stablemate SHINING COPPER are the best horses in Saturday’s Barbados Gold Cup at Garrison Savannah. It is just that a long trip and no Lasix could be hurdles for Ken and Sarah Ramsay’s pair of top stakes horses. The Ramseys have won the Gold Cup twice and they have been on a quest to win a 3rd but their horses have lost the past 2 runnings. Following Major Marvel and Saylor’s Creek’s victories in the Gold Cup, the Ramsey’s had beaten favourite Gentleman’s Kitten and last year, Keystoneforvictory and High Noon Rider finished behind Dorsett. Major Marvel and Gentleman’s Kitten both passed away soon after their trips to Barbados. A true sportsman, Ken Ramsay just wants to win the big races and it was amazing to watch SIR DUDLEY DIGGES reel in the very good AMIS GIZMO to win the 1 1/4 mile Plate at Woodbine in quite an upset. Bred in Ontario by Bernard and Karen McCormack, Sir Dudley has gone on to win a minor stakes race, the Old Friends Stakes at Kentucky Downs last fall. The 5-year-old horse by Gio Ponti has had trouble threatening in graded stakes races, however, so he may be a better fit in the Gold Cup. The horse was supposed to race in the 2017 Gold Cup but was stuck in quarantine at Fair Grounds. This is the first time a Queen’s Plate winner has made the trek to Barbados. Mike Maker, who will have a string of horses at Woodbine this year, trains Sir Dudley. Shining Copper has blossomed for trainer Mike Maker and he comes off a three-race win streak including a hard earned score in the Ft Lauderdale (Grade 3) at Gulfstream. The son of Aragorn is strictly a front runner, however, and the make-up of the Garrison track may test his stamina. DORSETT, who has won the last 2 Gold Cups and is a son of Artie Schiller who used to race at Woodbine for trainer Brian Lynch, is a main contender in the $118,500 (US) Gold Cup. Gulfstream Park’s Saturday program, highlighted by nine stakes including the $400,000 Xpressbet.com Fountain of Youth (G2), will also feature guaranteed pools in the Late Pick 4 and Late Pick 5 and a guaranteed pool in the 20-cent Rainbow 6 of $3 million. Post time for Saturday’s first race is 11:30 a.m. The Late Pick 4 will have a guaranteed pool of $750,000 and the Late Pick 5 will have a guaranteed pool of $500,000. The 20-cent Rainbow 6 will be guaranteed at $3 million only if no one hits the popular multi-race wager Wednesday, Thursday or Friday. GOOD MAGIC, the Breeders’ Cup Juvenile (G1) winner and Champion 2-year-old, makes his first start as a 3-year-old for the eFive racing syndicate and trainer Chad Brown. The son of Curlin won the first race of his career in the Juvenile, but the manner in which he soundly defeated Solomini and favored Bolt d’Oro was enough to walk away with the Eclipse Award for outstanding 2-year-old male. Purchased for $1 million at the 2016 Keeneland September sale, Good Magic debuted at Saratoga Aug. 26, finishing second by a length to Todd Pletcher-trained Hazit. Hardly discouraged by the losing performance as the 3-5 favorite, Brown entered him in the Oct. 7 G1 Champagne at Belmont Park, where he lost valuable ground throughout the one-turn mile to finish second a half-length behind multiple stakes-winner Firenze Fire after taking the lead in mid-stretch. Good Magic broke through with an impressive performance in his first race around two-turns in the Breeders’ Cup Juvenile, earning a short vacation before returning to the worktab at Palm Meadows, Gulfstream’s satellite training facility in Palm Beach County, in January. 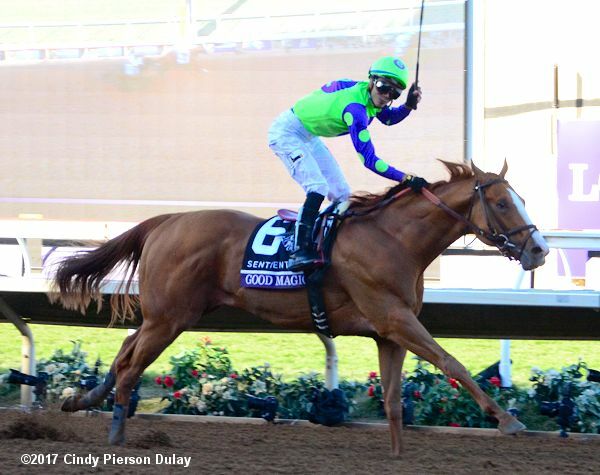 The 1 1/16-mile Fountain of Youth has been the target for Good Magic’s return all winter. Jose Ortiz has the return mount. Courtlandt Farms’ Strike Power is scheduled to put his undefeated record on the line against Good Magic and eight other 3-year-olds in the Fountain of Youth. The Mark Hennig-trained colt has won his only two starts, both at Gulfstream Park, by a combined 10 ¾ lengths. The son of Speightstown, who was purchased for $300,000 at the 2016 Keeneland September sale, produced a spectacular debut performance Dec. 23, breaking sharply from his rail post position to dominate his maiden rivals, including favored next-out winner Thunder’s Honor, with a front-running eight-length victory. After generating a rare first-out 100-plus Beyer Speed Figure, Strike Power made a successful leap to graded-stakes company, winning the Feb. 3 G3 Swale Stakes by 2 ¾ lengths. Luis Saez is scheduled to return to the saddle for the Fountain of Youth. Trainer Dale Romans entered a trio of 3-year-olds in the Fountain of Youth, including Albaugh Family Stables’ Free Drop Billy, who finished second in the G2 Holy Bull at Gulfstream Feb. 3. The son of Union Rags made a strong bid on the turn into the homestretch before finishing three lengths behind Pletcher-trained Audible in the one-turn mile Holy Bull. Free Drop Billy had demonstrated immense talent during his 2017 campaign, in which he won at first asking before finishing second in the Sanford and Hopeful at Saratoga and winning the G1 1 1/16-mile Breeders’ Futurity at Keeneland. His 2-year-old season concluded on a sour note when he finished a distant ninth behind Good Magic in the Breeders’ Cup Juvenile for which Romans subsequently found no excuse. Robby Albarado is named to ride Free Drop Billy, a $200,000 purchase at the 2016 Keeneland September sale. Romans is also set to saddle Robert Baron’s Promised Fulfilled and Team Valor International and Gemstone Stables’ Storm Runner for the Fountain of Youth. Promises Fulfilled, a son of Shackleford, is slated to make his 2018 debut after concluding his juvenile season with a third-place finish in the G2 Kentucky Jockey Club at Churchill Downs. Storm Runner is a recent optional claiming allowance winner at Gulfstream. Irad Ortiz Jr. has the mount aboard Promises Fulfilled, while Joel Rosario has been named to ride Storm Runner, a $5,000 purchase at the 2016 Fasig-Tipton Kentucky Fall sale. Marconi, a half-brother to 2013 Breeders’ Cup Classic winner Mucho Macho Man, enters the Fountain of Youth off a third-place finish behind Avery Island and Firenze Fire in the G3 Withers at Aqueduct. Owned by Bridlewood Farm, Michael Tabor, Derrick Smith and Mrs. John Magnier, the son of Tapit previously broke his maiden in his second career start in a 1 1/8-mile race on Dec. 15. “A mile and a sixteenth might be a little short for him but the race looks like it should have some pace,” said Pletcher, whose trainee was bought for $2 million at the 2016 Keeneland September sale. Javier Castellano, who was aboard for Marconi’s maiden-breaking victory two starts back, has the mount. Woodbine stakes winner PEPPERED, trained by Reade Baker, is also in the Fountain of Youth field. Chiefswood Stables’ impressive maiden winner NEEPAWA (Scatt Daddy) is 8 to 1 in the Grade 3 Palm Beach Stakes on the grass on the jam-packed Gulfstream card. His race goes at 2 p.m. and he is trained by Mark Casse. Stronach Stables’ HOLY HELENA, last year’s Queen’s Plate winner, is in the THE VERY ONE STAKES (Grade 3) on the Gulfstream card and is 7 to 2 in the morning line. The Ghostzapper 4yo won her season debut on grass, her first start on turf. 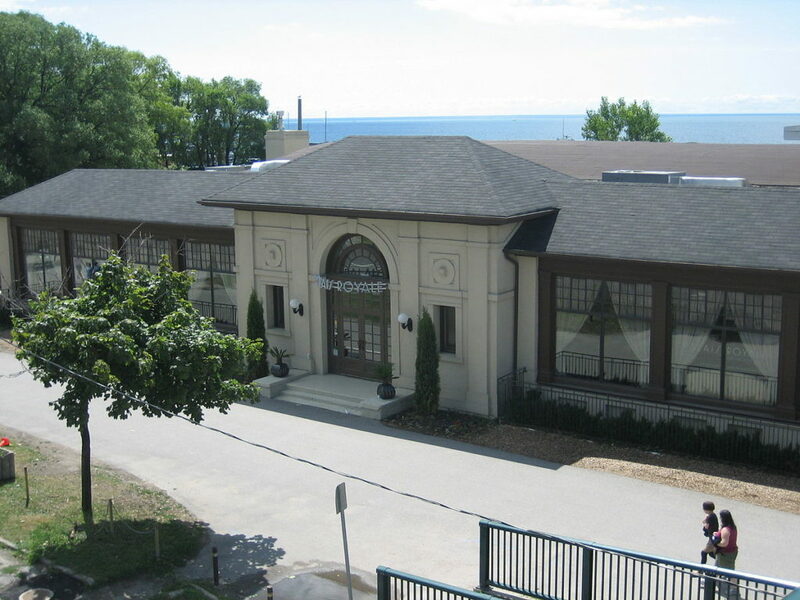 Trainers Roger Attfield and Mike Doyle have starters in the Sand Springs Stakes – KYLLA INSTINCT and GRIZZEL and Canadian breds CONQUEST SANDMAN and SHAKHIMAT are in the Grade 3 Canadian Turf. 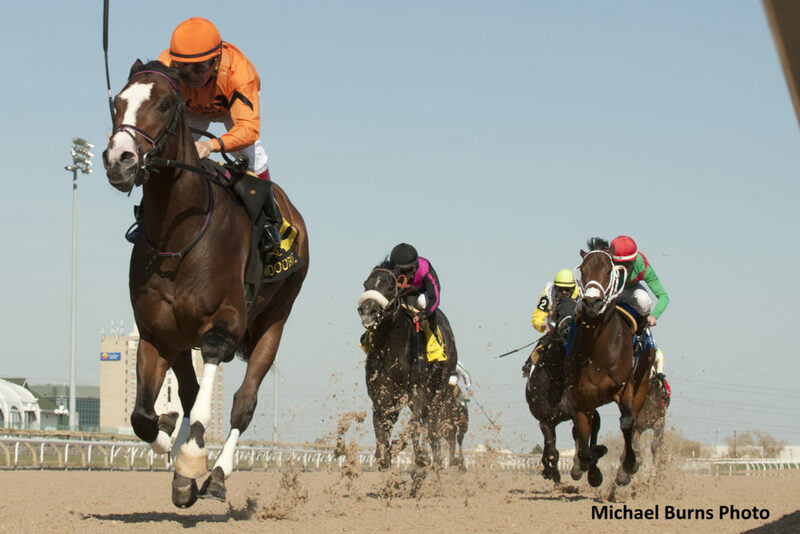 Bear Stables’ Noholdingback Bear, Canada’s champion sprinter of 2016, will be making his first start in eight months in the Grade 3, $100,000 Gulfstream Park Sprint following a fifth-place finish in the Highlander (G2) run at six furlongs on Woodbine’s turf course last July. Fourth in the Swale and second in the Texas Glitter on turf in 2016 in his previous tries at Gulfstream. Winless in just four tries since the Gallant Bob (G3) in September 2016 at Parx, Noholdingback Bear set the 6 ½-furlong track record (1:14.44) over Woodbine’s synthetic surface in a July 2016 allowance victory.